You will drive for about four hours to Luxor. Luxor or Al-Luxor (the palaces) was the third capital of Egypt. 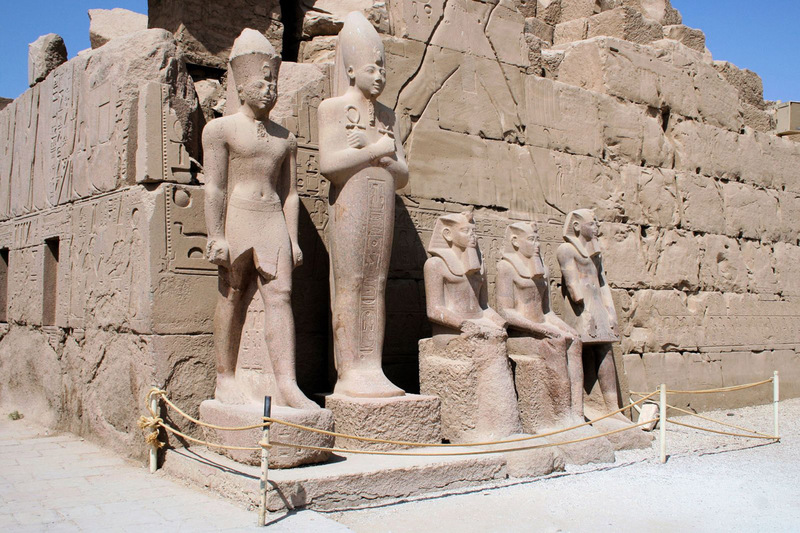 Luxor’s monuments witness the glory and the greatness of the city in ancient time. 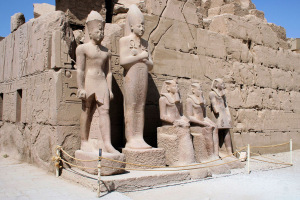 You will visit the great complex of Karnak, the valley of the kings, the temple of Hatshepsut and the colossi of Memnon. Lunch will be served at local restaurant. The Valley of the Kings is one of the most important highlights of the development of the construction of the tomb in Egypt. It was called by the Ancient Egyptians (Ta-Maat) or the place of the justice and truth. It was dedicated as the burial place of the Egyptian Pharaohs for 500 years. There are 64 tombs in the Valley of the Kings discovered till now. The government still looking for more tombs. The first king was buried there was Tuthmosis I and the last one was Ramses XI. Here in the valley, you will find out how the workers with their primary tools cut and painted the magnificent tombs for their lords. 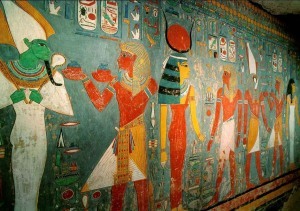 Almost of the tombs still have some amazing colors and paintings in a very good condition. You will just visit 3 tombs of the opened tombs; your guide will recommend you the best 3 tombs for you to visit. 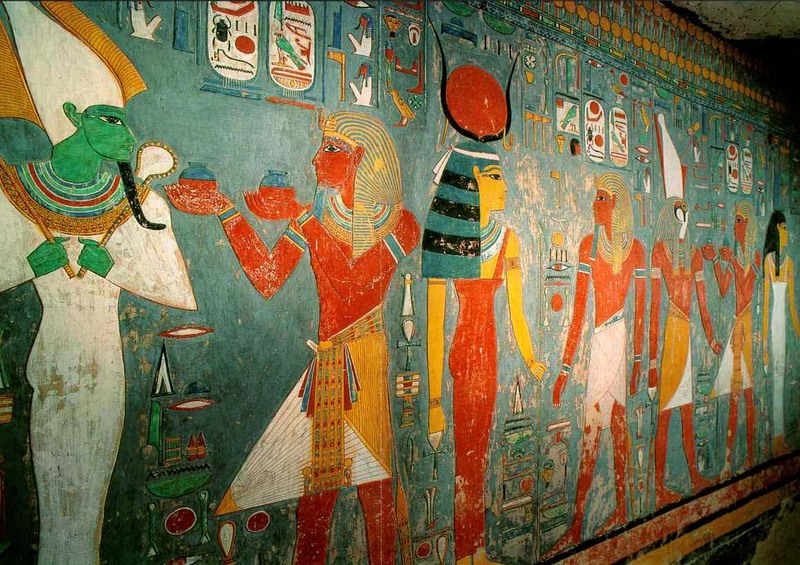 The most visited tombs are: Ramses III, Ramses IV, Ramses V, Ramses IX, Tuthmosis III, Ta Wesert, Si Pitah, and Tutankhamon. The temple of Hatshepsut at El Deir El Bahary is unique among the Egyptian temples. 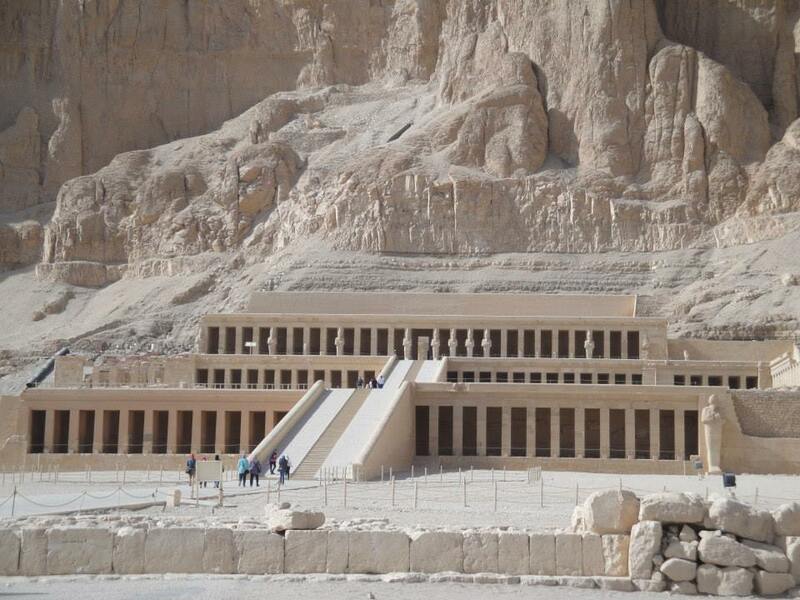 It is built in three terraces to commemorate coronation of Hatshepsut. Hatshepsut’s famous expedition to the land of Punt (Somalia) is depicted in the second terrace. Hatshepsut is the daughter of Thutmosis I, the sister-wife of Thutmosis II, and the mother- in- law of Thutmosis III. She ruled Egypt around (1478) BC for 20-24 years, and died naturally by diabetes. The temple is now called Al Deir El Bahary, which means in English (the northern monastery) because the temple was used by the Christians for a while. It is really amazing temple, you will like and enjoy it. 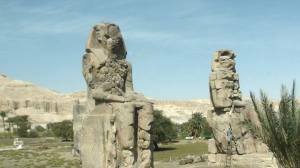 You will finish or start your tour of the west bank by a photo stop at Colossi of Memnon, two impressive statues (18 meters) high, left from a huge temple built by Amenhotep III. They are now called Memnon, after the name of Aga Memnon, when the statues were making sounds created when the wind blew through the cracks of the statues at dawn. It is a photo stop. (3 tombs) included in the valley of the kings. No photography is allowed in the valley of the kings. Tutankhamen’s tomb is not included, it has a private ticket (250L.E) per person. Photography is allowed at Hatshepsut temple. The karnak complex is the largest religious complex ever built in the universe till now. The “Karnak” is the Arabic for “the fort” or “the protected area”. But the complex was known as ” pr _ Imn” or” the house of Amon” for the ancient Egyptians, after that the name was changed by the Greeks to “ipt _ swt” or “the northern thrones”. The complex was dedicated to the god Amon or Imn ” the hidden “, who was just a little, unknown local deity. When Luxor became the capital of Egypt, the god’s importance was increased. He then became like a national god. He was the creator, the sustainer and the lord of the gods. His consort was the goddess Mut. The couple adopted the god “Khonsu” the moon god. The complex was begun in 2000 BC, and expanded the through 1700 years, and is considered not completed. You will approach the complex by the dock which leads you to the sphinx avenue, which takes you to the unfinished pylon “gate” of the temple. In the 1st open court is the chapel of the Nubian king Tahraka. To the right of the open court, is the small temple of Rameses III. The great hypostyle hall is awesome place with its 134 columns. The obelisks of Tuthmosis I and Hatshepsut stand like two needles among the structures of the complex. The sacred lake is amazing, was used for the purification of the priests. The complex is very impressive. Don’t miss it.